For Egypt we decided to make Koshari. Well I was looking for something unusual and found pasta and rice together in a Koshari recipe. That sounded quite unusual for me as I have always eaten pasta and rice separately. But I must say it turned out very tasty and I will definitely make it again. My little one was very eager to help me in measuring out the ingredients. So Koshari is the national dish of Egypt and is served almost in every Egyptian restaurant, home and street corner. Cook the macaroni in a separate pot. Rinse and strain when done. Add the tomatoes, chilli flakes, salt and pepper to taste and let it simmer for 10-20 minutes or until thickened and sauce like. Mix the lentils, rice and pasta together in one pot. If you do this, we would love to see a photo of it. Like us Facebook and upload your picture there! Please link up your Egyptian dish and/or craft in our linky HERE, we would love to see it! Here you can print out a placemat to colour in and here is a four page passport. 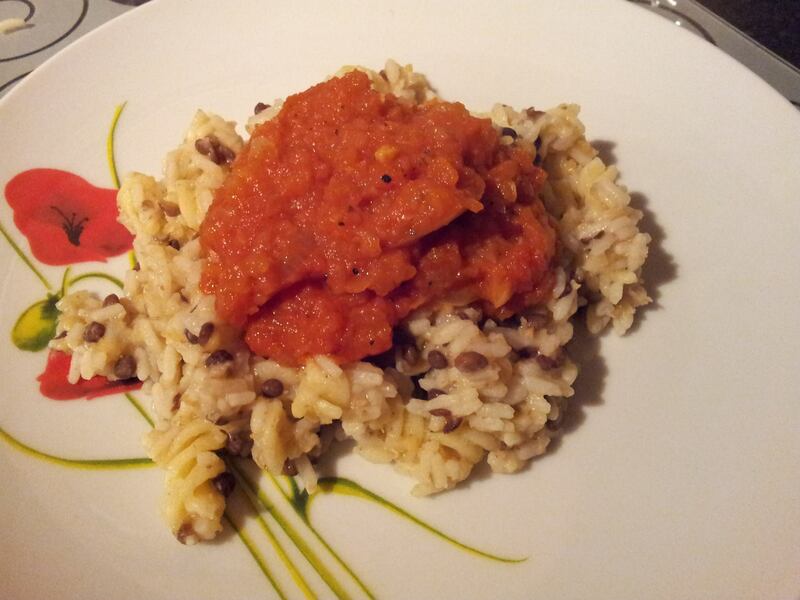 This entry was posted on September 23, 2013 by mermaid in challenges and tagged "Around the World in 12 Dishes".